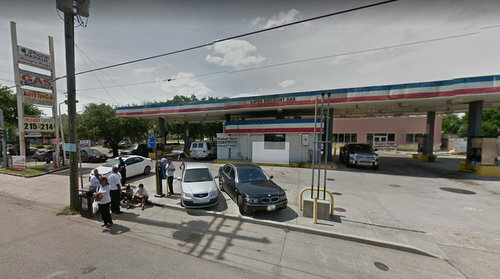 A gas station at South Claiborne Avenue and Washington Avenue has received permission from the New Orleans City Council to sell alcohol after the completion of renovations there. The Super Discount Gas at 2727 South Claiborne Avenue sought permission to sell packaged liquor, wine and beer in the retail food store that will occupy one of the three units in its newly constructed building, which replaces a small sales kiosk. The other two units are an auto repair shop and a rug retailer, city documents note. The redevelopment of the gas station, Cantrell said, fits in well with other major new projects along South Claiborne, such as the Magnolia Marketplace and, more recently, the Green Tea building at Napoleon Avenue. “The improvements at this site are surely needed, but it’s moving in the right direction for the fabric that we need along Claiborne Avenue,” Cantrell said. No one spoke in opposition to the request, and gas station owner Bobby DeLaughter thanked Cantrell for her trust that the business will have a positive impact on the corridor. “I couldn’t have said it better,” DeLaughter said. The conditional use for alcohol sales had a positive recommendation from the City Planning Commission, along with 22 separate operating requirements placed on the gas station. The alcohol cannot constitute more than 15 percent of retail sales or 10 percent of the floor display area, and no signage for it should be visible from the street, for example. The City Council unanimously gave the project a final vote of approval in July.